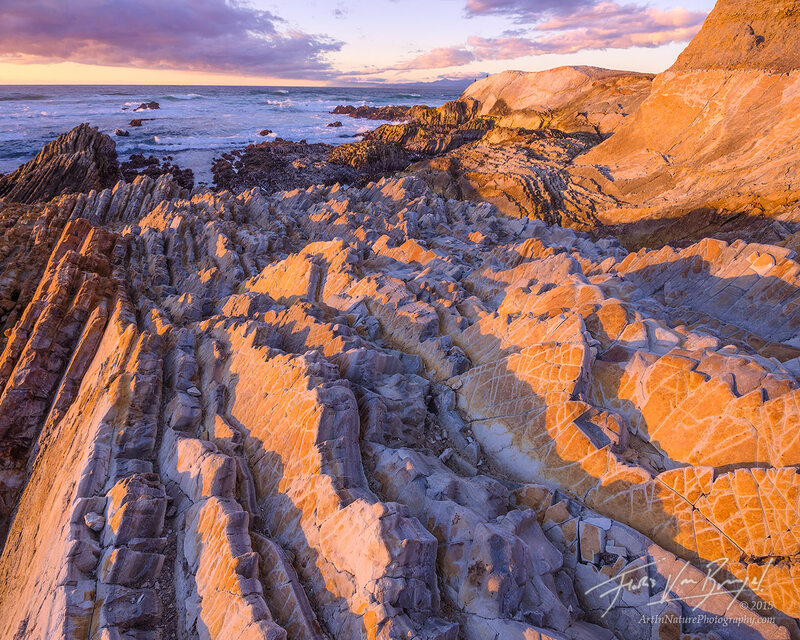 The last rays of sunshine illuminate the fascinating patterns of rock along the coast of Montana de Oro State Park in California. The name Montana de Oro means "Mountain of Gold," and comes from the gold colored wildflowers found throughout the park in the spring. With the sunset light, however, these rocky formations looked like tiny golden mountain ranges to me!